IAM has actively worked to transform faith communities into inclusive, welcoming and safe spaces for LGBTI throughout Africa since 1995. 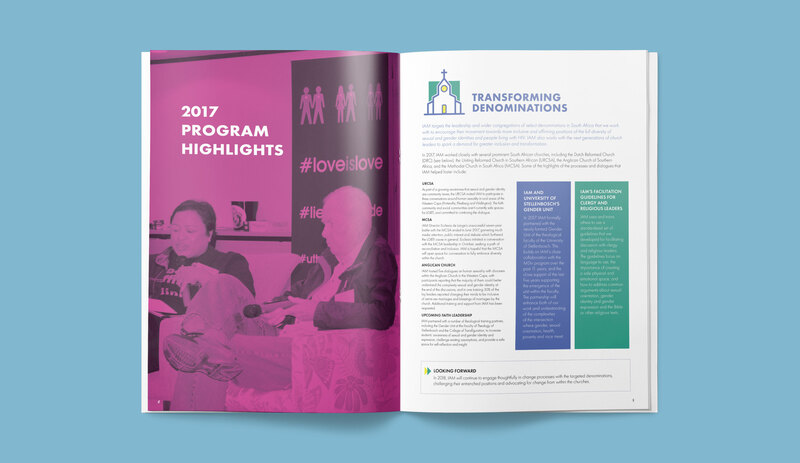 IAM addresses the challenge from many angles simultaneously, working within congregations, supporting the development of strong, mature LGBTI communities who are able to claim their rights, and supporting LGBTI and PLHIV partner organizations throughout the region to effect change in their communities. 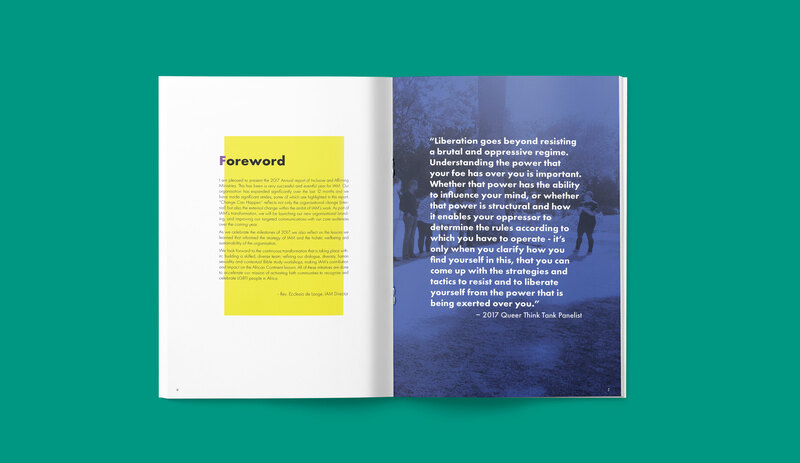 While IAM has done significant, ground-breaking work for nearly 25 years, the organization had not ever created an annual report to succinctly share their work and impact with external audiences. With their new branding in place and several high-profile donor trips on the horizon, IAM decided that this was the year, and asked me to help them navigate the process. 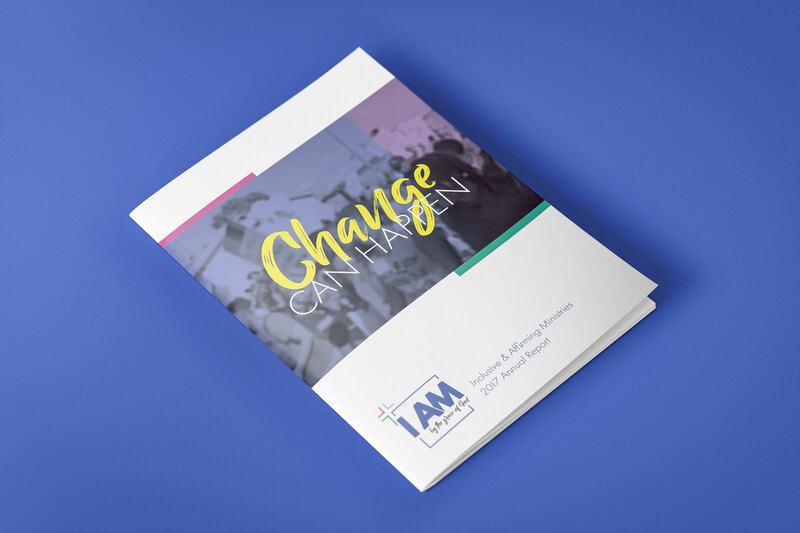 As part of the larger work of refreshing IAM’s branding and communications strategy, I wrote and designed an annual report to showcase IAM’s work in 2017. 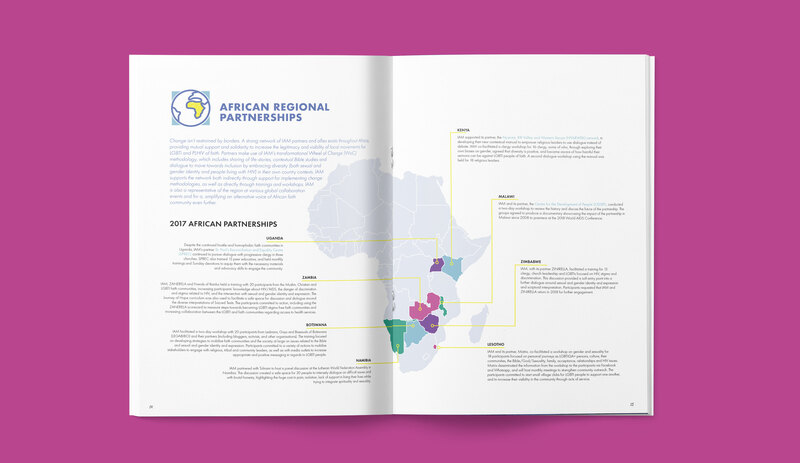 I pieced together the content from existing donor and internal board reports, and applied the new brand identity to the document. 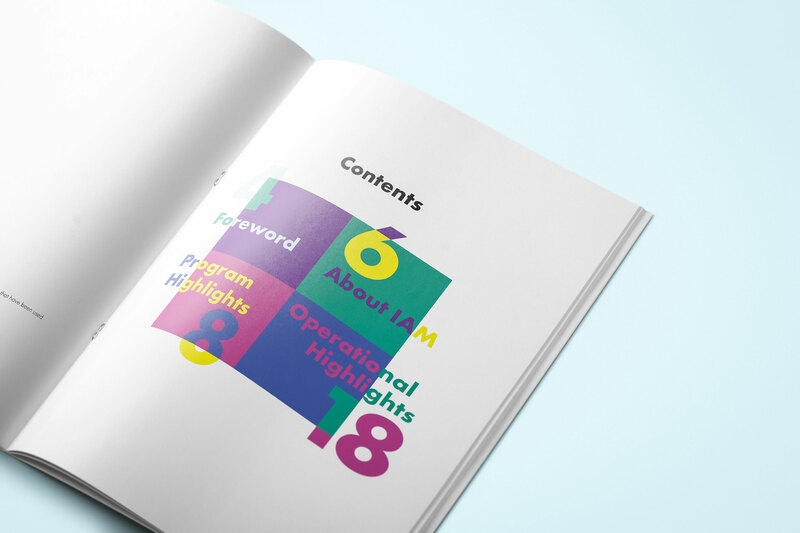 The report has received rave reviews from those it has been shared with, and serves as both a great marketing piece as well as a record of where the organization finds itself at this moment in time.